TIPPING IS A SENSITIVE SUBJECT, and some travelers dread the first confusing post-meal moment in a new place when they realize they don’t know the local custom. Am I expected to tip here? Do I have to use cash? How much is appropriate? If I get it wrong, will I be welcome here tomorrow? Some countries have no tipping culture for locals, but expect visitors in big cities to leave something extra. Some countries have mandatory service charges as an item on the bill, and nothing extra is expected. In other places, the service charge is not enough. Some tourists go American-syle and leave big tips wherever they go, but others want to be more sensitive to local customs. The map above has general guidelines for big cities in 59 countries all over the world. Use this information as a guide. 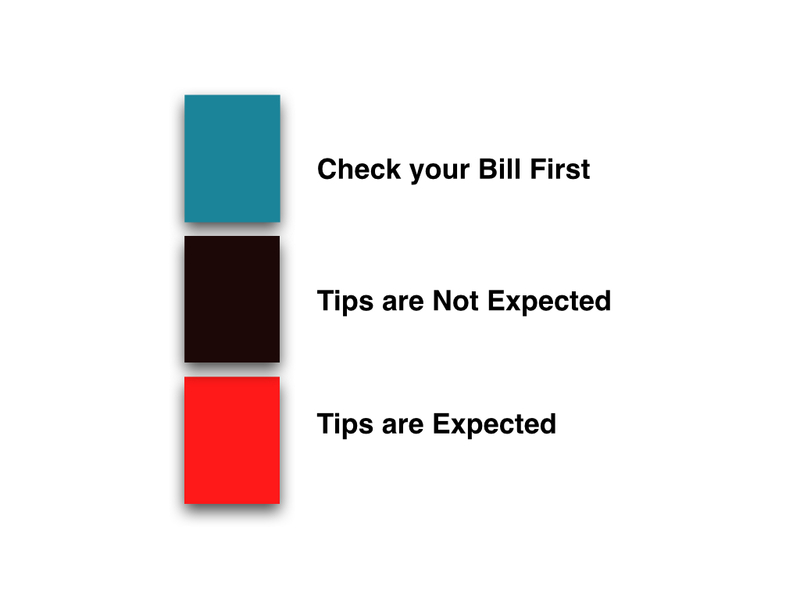 Before your next trip, check here and then learn the word for “tip” in the local language, find out what a service charge looks like on a bill to make sure you don’t tip twice, and research differences in gratuities in cities vs. small towns. In Eastern Europe, for example, tipping is becoming more common in big tourist destinations, but in a lot of smaller towns it’s unheard of. I moved to Japan two years ago and it took me a long time to figure out how to have a pizza delivered. Several months. When I finally went for it, nothing was more awkward than the confused deliveryman pushing my change back to me after I tried to give it to him. In Japan, except in very specific circumstances, there is no tipping. In the map above, which focuses only on restaurants, I’ve separated countries into three categories: countries where some tip is expected, countries where no tip is expected, and countries where a tip is often already included on the bill. 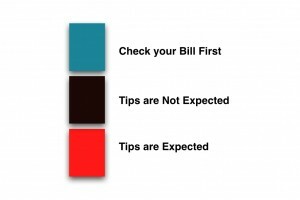 Keep in mind that for places where a tip is already on the bill, or no tip is expected, it’s still common for people to round up to a whole number instead of asking for exact change, and in most places even if a tip is not expected, it’s appreciated and not offensive if someone does something special for you. Mouse over each country for more specific information, and please leave your tipping insights in the comments below.